You might think that ‘Wombat Friday’, the practice of posting pictures of a cuddly ‘Top the Wombat’ on Facebook or Twitter on Fridays (backed up by wombat Christmas decorations and a new 'wombat trail' at Red House), was harmless enough. Surely it could only be dour Morrisian Communists, humourlessly failing to recognise that the young Pre-Raphaelite of the 1860s was not the grizzled political activist of the 1880s, who could possibly object to so innocent a piece of fun? 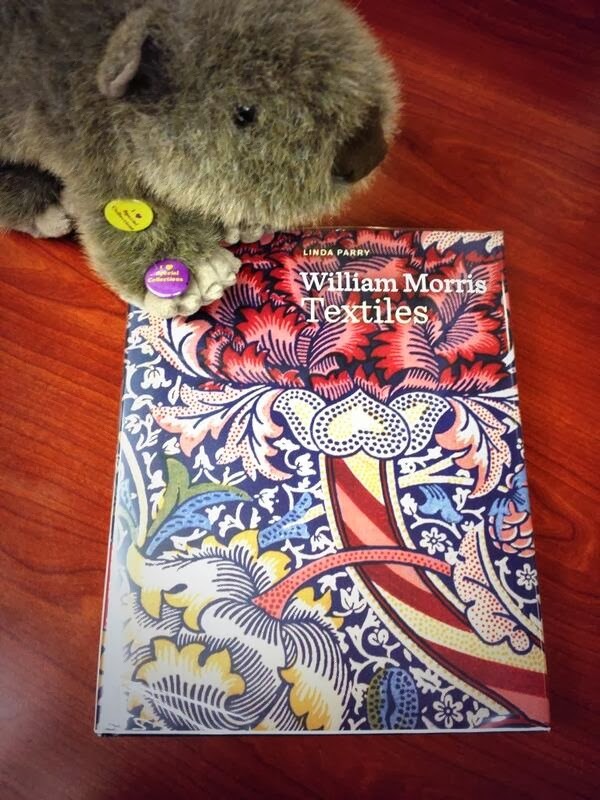 However, wombats were an enthusiasm of Rossetti’s not Morris’s. 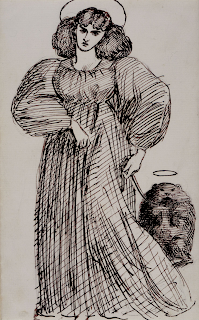 They have nothing whatever to do with Morris, except that Rossetti chose to call his wombat ‘Top’, which was the nickname Morris’s undergraduate friends had come up with for him in their Oxford years. And why did Rossetti choose this particular name for his diminutive furry friend? The answer is obvious enough: as yet another belittling insult to the man whose marriage he was busy wrecking – an insult which belongs with the series of caricatures which includes ‘The M’s at Ems’ or ‘Enter Morris, moored in a punt’, and with the vicious little playlet The Death of Topsy, which has Morris poisoned. If you want a graphic visual image of the nastiness involved in calling the wombat Top, just look at Rossetti’s caricature of ‘Janey and the Wombat’ which, as Fiona MacCarthy herself notes, ‘shows Morris as the wombat’ (p.245). You could hardly imagine a more sexually contemptuous image than that. So in playing this little game every week, our Pre-Raphaelite friends perpetuate Rossetti’s crude sexual insults to Morris. 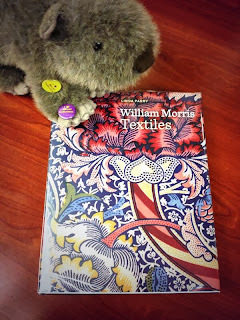 One of the side effects of Wombat Friday is indeed a political trivialising of Morris; but the major objection to it, for anyone who cares for William Morris and his work, is that it gives new currency to Rossetti’s unpleasant adulterous humour at Morris’s expense. If the Rossettians promote Top the wombat, we’ll just have to shrug our shoulders crossly and put up with it. But that Morrisians, including Red House, should be doing so too – well, they need to think rather harder about what they’re up to. Nothing like dumbing-it-down for the masses - at least these earnest damsels (and mostly they are) might have considered that 'Wombat Wednesday' has a decidedly nicer ring to it. But you know, they are self-proclaimed experts on all things PRB, so I suppose one must grin and bear it all and ignore.